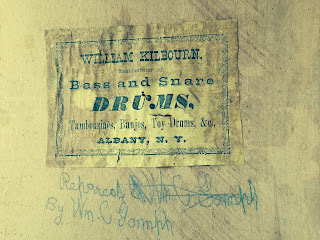 Sam Cathey, a reader of this blog, writes with the following question: "I have an original Kilbourn drum with this label inside. Generally I see a different Kilbourn label that includes a Clinton Avenue address. Does anyone know the dates connected with the labels?" Partial Answer: He was located at 147 Clinton Avenue, Albany, NY from 1858-1863. (Directory of American Military Goods Dealers & Makers 1785-1915). See http://www.oshkoshmuseum.org/Virtual/exhibit3/e30232a.htm. 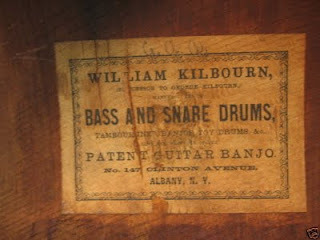 The Albany City Directory for the year 1877, p. 275, lists William Kilbourn, drum manufacturer at 915 Broadway. 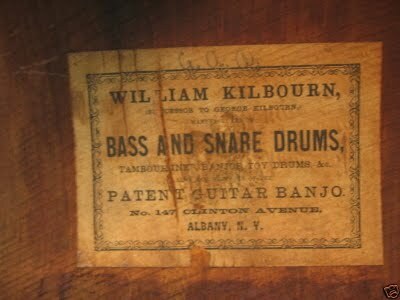 William Kilbourn is listed as age 37, a farmer and drum manufacturer in Albany. Gazetteer and Business Directory of Albany and Schenectady Co., N.Y., for 1870-71, p. 296. (No address given.) That would put his date of birth at ca. 1833. Shown in the video L-R are: Gisèle ("Gis Montreal") Cadieux - '82 Crossmen; Mary Gromko Murray - '78, '79, '80 27th Lancers, '81, '82 Freelancers; Peggy Sue Snyder Casey - '81, '82 Phantom Regiment; and Kelley Marie Kubitz - '81, '82 Blue Devils. Here are some veteran drum corps women, known as "Chicks with Sticks" gathered for a rehearsal that lead to a reunion performance. The video was taken while the ladies were getting ready to compete at the 2011 DCA Individuals & Ensembles competition in Rochester, NY. 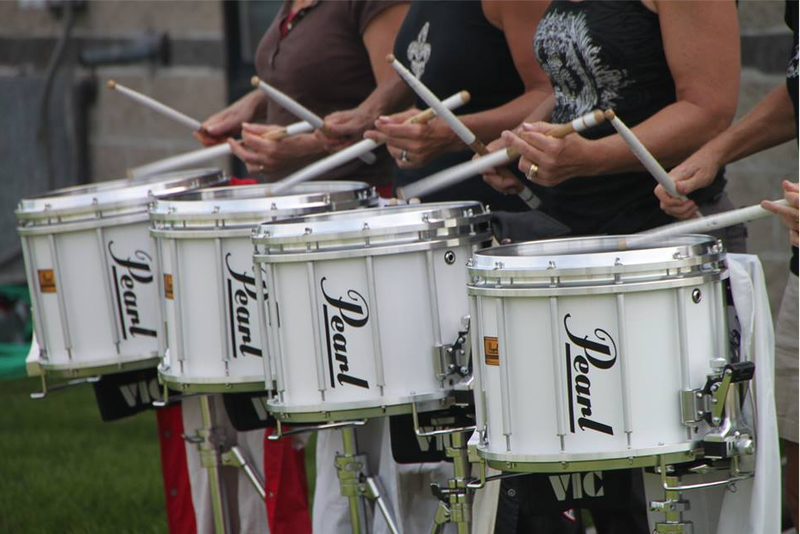 These four pioneers were among the first women to march snare in a top 12 DCI corps. See more fun, inspiring drumming videos from over 100 countries around the world at www.facebook.com/DrumTalkTV/videos — with Chicks with Sticks. From The Lamar Times, Thu., Oct. 8, 2015, vol. 22, no. 2, pp. 1 and 5.